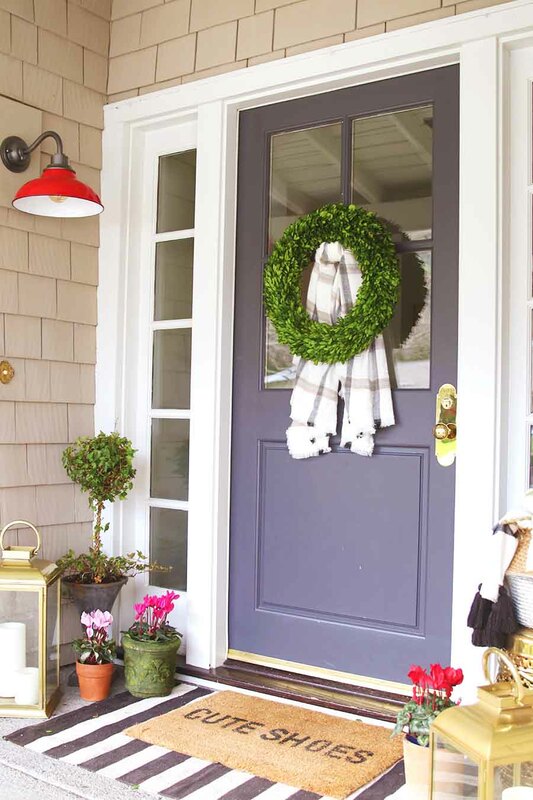 Winter is a great time to update your porch! And what better way than to change out your doormats. 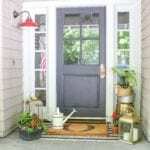 I’m sure you’ve seen all the layered doormats, but do you wonder how to get the right look? I have broken it down for you with my doormat layering guide. 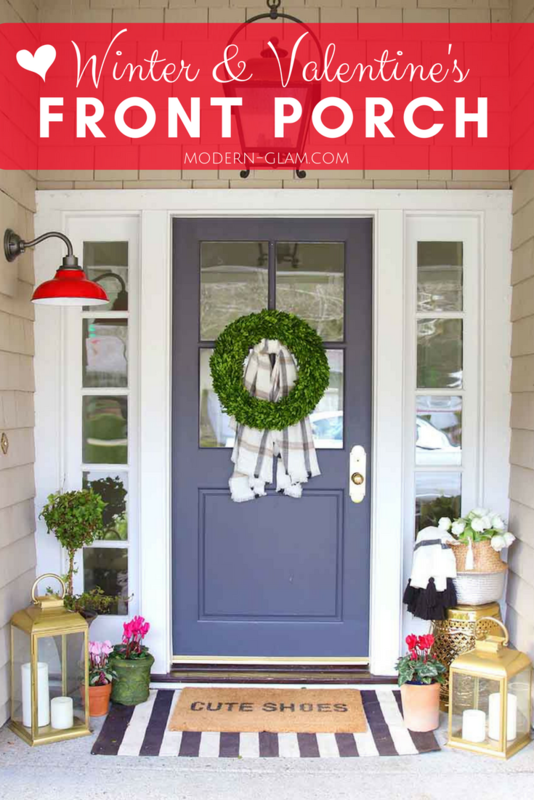 Plus, check out the ways I’ve update my winter porch to be more welcoming in the coldest months of the year. I recently replaced my front porch light with this pendant from Rejuvenation. I am still loving the bright red shade! And I wanted the color to really stand out so I kept the rest of the decor pretty neutral. I added dark and light pink and red Cyclamen flowers potted on each side of my front door. I love how it adds a pop of color and goes with the red light. You can see my spring porch from last year HERE. And I love this gold garden stool that I found at my local Homegoods. It has had so many uses throughout the years. From extra seating in the backyard, to a pretty perch for my Halloween decor! I topped the stool with my belly basket and draped a throw over the edge. And I had a big bunch of silk tulips that I stuck inside of it. These two additions added the perfect amount of texture and early spring touches. To add some fun to my front porch, I put out my black and white striped rug and my favorite doormat. I love to layer a rug underneath your doormat. 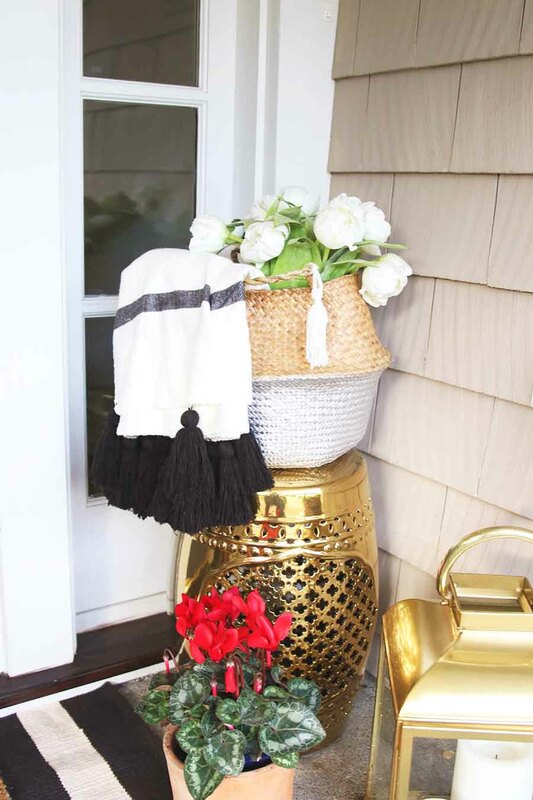 It instantly adds some personality and pattern to your front porch. 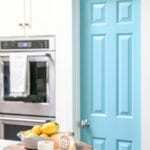 And it’s a great way to add color when you want to. Here are some of my favorite combinations! You can, of course, mix and match any of these rugs and doormats. 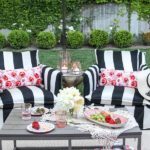 A stripe works really well as a backdrop and can be layered with a floral print. And I love to add in a funny saying to your front doormat. Because, what a great way to put a smile on someone’s face when they ring your bell! Get creative and it will become so clear as to how to layer doormats to get that cozy layered look! Ashley, This is gorgeous!! will you come style my porch? Oh my goodness I love those layered rugs! I love what the door mat says. So cute! Happy valentine’s day Ashley. Such a welcoming and cute porch! Love the pop of red! I’m so jealous of your potted plants!! We are still covered in snow! YOur door mat is the BEST! I love what you did on your front porch! 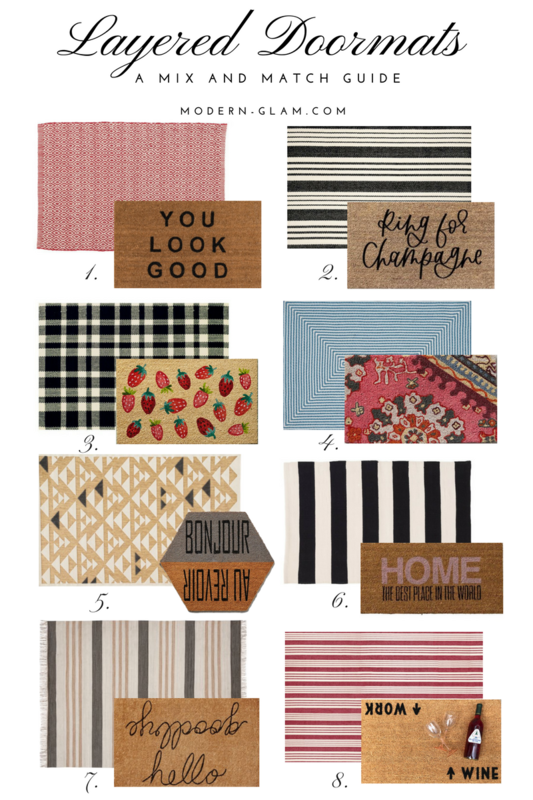 I have the ‘hello goodbye’ mat and it looks too small for my double doors…thanks for the layering idea! Love your red light! 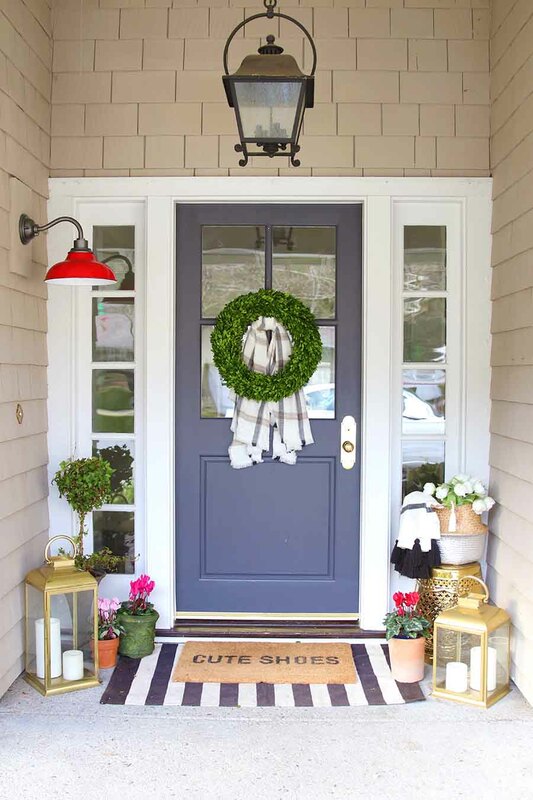 Love your front porch, and you have the best idea to layer your mats! I’ll have to try that with mine! 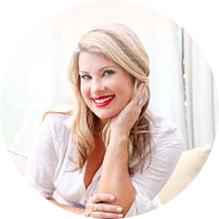 I hear you about putting away Christmas decor, and now it feels like summer around here! Thanks for all your help on this blog hop, we three make such a great team! Ok Ashley, you are so cute and creative! 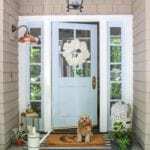 I love every little detail you put into your front porch! That scarf idea is genius! Hi! Can you offer guidance on what size the base layer doormat is? My home has double front doors. what size would suggest using underneath a 22×36 coir mat? Where did you get your brass lanterns?